A three hour offering to tap is into the Solar practice of AcroYoga. Focussing on partner acrobatics and inversions this workshop will work progressively, getting you strong in your physical body and building on your mental well being allowing you to try things that may seem impossible and making them possible. We will working on strong foundations, precise body actions as well as boundaries to create human shapes and transitions that involve bases, flyers and spotters. We will also have the opportunity to train with the Bodhitrix – Players Deck (www.bodhitrix.net). Participants are asked to have a regular bodywork practice, a willingness to work with others and have an openness to be challenged to achieve their fullest potential. Bookings are made directly through the studio. Costs: Early bird day rate £45 or weekend rate £75 if booked before the 8th November or £55 day rate or £90 weekend rate there after. 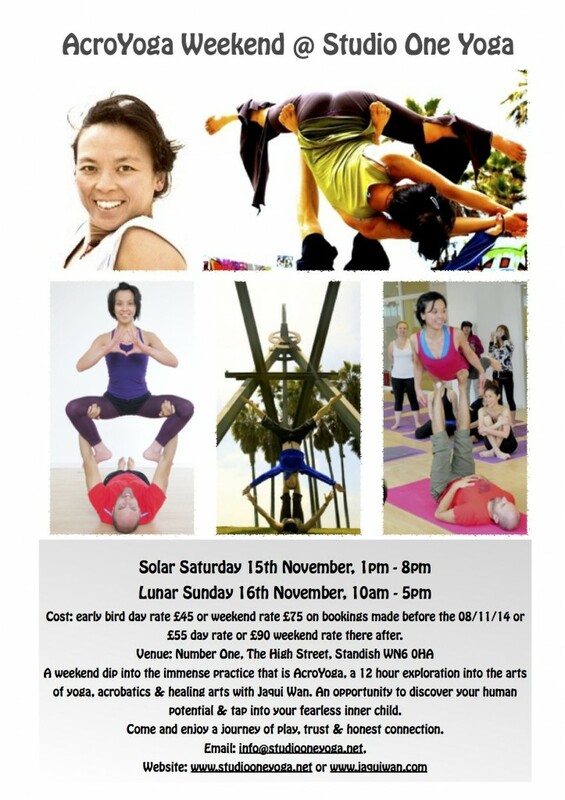 A 12 hour exploration into AcroYoga. The weekend will be broken down into a day of acrobatics and a day of therapeutics, which will act as a rounded tip of the iceberg introduction into the practice. 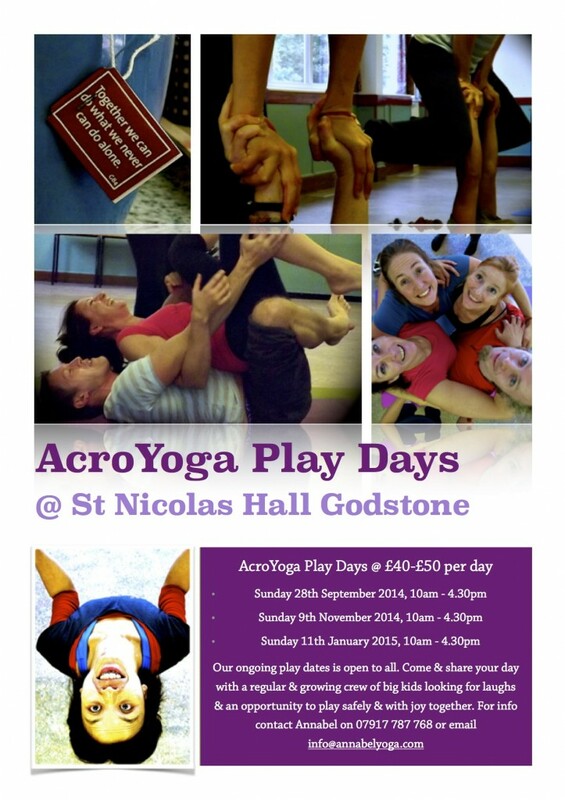 In participating the whole weekend, you will get a greater understanding of what is AcroYoga. However, for those of you who are only interested in certain elements of this practice there are day attendance options. Participants must have a willingness to work in pairs or in groups of three or more, have a regular physical body practice of some kind and a willingness to be upside down. All bookings are made directly through the studio. Please get in touch if you have specific questions.